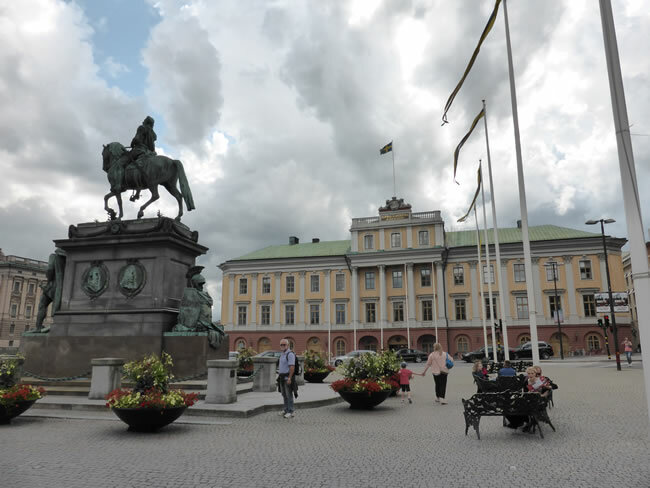 This equestrian statue of Gustavus Adolphus sits in the middle of Gustav Adolfs torg. The Medelhavs Museum, focusing on traditions from the Mediterannean region, sits on one side of this square. The Arvfurstens Palace, once the residence of Princess Sophia Albertina in the 1700s, sits on another.